A great deal for all business events in Dorset in January & February 2018. 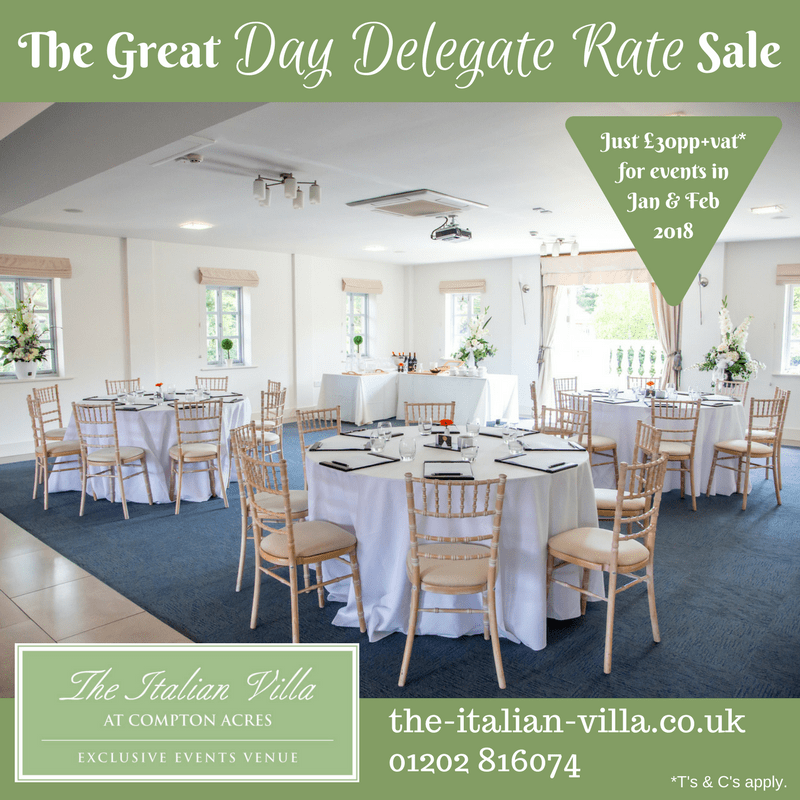 Our usual Day Delegate Rate (£34pp+vat) is discounted to just £30pp+vat – incredible value! To see what’s included, click here.